A "ghost skier" hurtling down the slope, an athlete's glucose levels flashing across the screen along with his heart rate—it is all part of an Olympic data revolution awaiting television viewers. 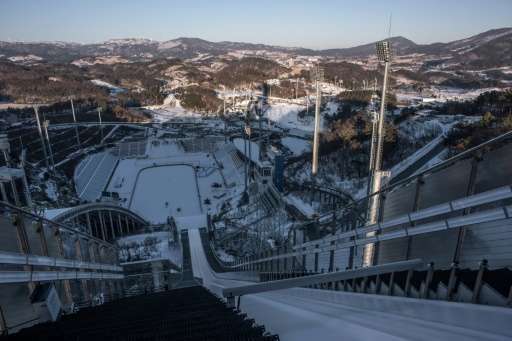 With the one-year countdown to the Pyeongchang Winter Games starting Thursday, European broadcaster Eurosport along with counterparts in North America and Japan are racing to get their gadgets ready and approved by the International Olympic Committee and athletes. Peter Hutton, chief executive of Eurosport, said 2018 Games viewers next year would see a "major jump" in the volume of data compared to Sochi in 2014. "The amount of data on screen will be revolutionary," he said. Broadcasters want the "ghost skier" on the screen to show how far a competitor is in front, or behind, the leading time. Just as the super-imposed line that showed the world record time has improved TV viewing of swimming, Hutton and others believe the Winter Games is also ripe for reform. The swimming line was simple but added clarity, Hutton said. "If you can use ghost skiers or have a line to say where is the leader on the course, that explains the story so much better," he said, adding that viewers would no longer have to wait for split times. "The technology is still being tested, but we are really close to it." Rival firms are also working on performance patches worn by athletes that can transmit real-time information on medal contenders. These patches can reveal the heart rate and an athlete's position, but even detail such as glucose level—a key indicator of fatigue. "That is something that can make sport more understandable and at the same time more dramatic. whether it be cycling or tennis or winter sports," said Hutton. "We are having very similar conversations in all those sports now. Where can those patches be attached, what relevant information can we get out of them. "A lot of athletes are obviously suspicious of releasing data and that is something we need to work through with federations. "But the direction is very clear we should be able over the next year to see more and more analysis that says this person is generating more power than that person," said the veteran television sports executive. "If we can provide real information that educates people about what is going on in an athlete's body then we are really doing something interesting." Broadcasters still need to get the IOC and international federations to sign off on the data revolution. But Hutton said the International Ski Federation wants change. "They are clearly ambitious to integrate more data into what they do." For athletes, performance patches would be voluntary. But the broadcaster has already won over cycling with cameras on bikes. This has also been voluntary, but Hutton said riders are now asking to be the camera-carrier as it brings them more attention. "It makes them centre stage and athletes like being centre stage." Eurosport has a research unit also looking at cameras on helmets for skiers, virtual reality and other data experiments. "Fifty percent of what they do will never get out," he said. 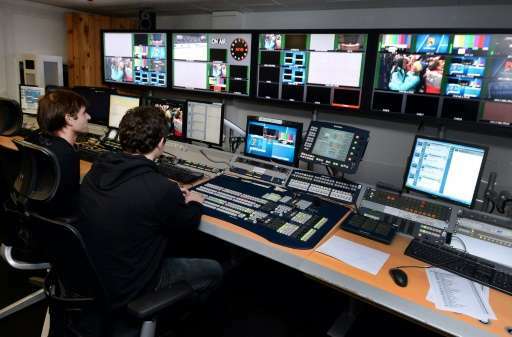 Eurosport, which paid 1.3 billion euros ($1.4 billion) for the European rights on television and multimedia platforms to the Olympics for 2018-2024 is in contact with US giant NBC and Japanese broadcasters on the new technology, said Hutton. J.B. Perrette, president of Discovery International, the US parent company of Eurosport, said the new coverage would also aim to show more of the human side of Olympic stars. "The emotional side of the story extends well past the athletes. It extends to their families, it extends to their siblings, it extends to their kids in some cases. We have to find ways to tell their stories." Cool to be a nerd: Why the highly educated Australian Sochi team?